The book uses the Factory Acts of the late nineteenth century as an entry point into the early history of labor relations in India, specifically the mill industry of Bombay. It unites legal and social history in a manner which differs from most social histories of labor, and offers a new perspective on the constitution of industrial relations in colonial India. The Factory Act passed by the Government of British India in 1881 produced the first official definition of 'factories' in modern Indian history as workplaces using steam power and regularly employing over 100 workers. 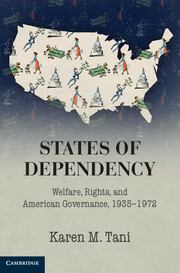 It imposed certain minimal restrictions upon the freedom of employers in a limited range of industrial workplaces and invested factory workers, most explicitly children, with a slim set of immunities and entitlements. In 1891, the Factory Act was amended: factories were redefined as workplaces employing over 50 workers, the upper age limit of legal "protection" was raised, weekly holidays were established, and women mill-workers were brought within its ambit. In its own time, factory law was experienced as a minor official initiative, but it connected with some of the most potent ideological debates and political oppositions of the age. 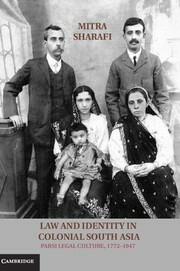 This book takes these two pieces of labor legislation as an entry point into the history of "industrial relations" (the term did not yet exist in its present sense) in colonial India, in the last quarter of the nineteenth century combining the legal and social history which diverges from most studies of Indian workers. 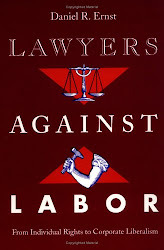 It identifies an emergent "factory question" built on the problem of protective labor legislation. The cotton-mill industry of Bombay, long familiar to labour historians as one of the nodal points of modern Indian capitalism, is the principal focal point of this investigation. While this is a book about law and regulation, it is neither a legislative nor a policy history. While it is preoccupied with the history of factory legislation, it does not offer a full narrative that takes this as its "object". And while the book focuses on Bombay's cotton mills, it contains significant departures both from the city and its major industry. A number of questions which have only rarely been thematized by labour historians--the ideologies of factory reform, the politics of factory commissions, the routines of factory inspection, and the earliest waves of strike action in the cotton textile industry--are raised in this book. 5. The Antinomies of Industrial Relations, 1884-1895.